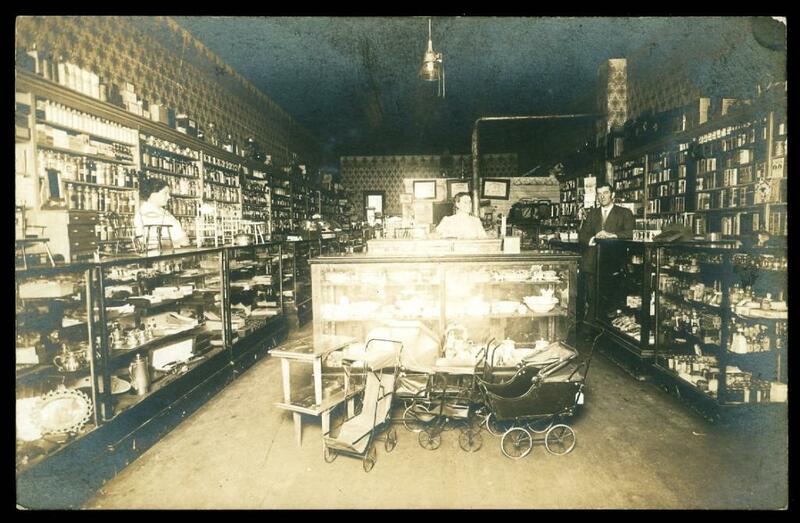 One of the most fascinating areas of collecting antique and vintage photographs are those images showing the interior of shops and retails stores — like these real photo postcards, circa 1907. Notice the well-dressed help and the tin tiles on the walls; the fine array of items, such as china in the display cases, the baby buggies and strollers… Oh, the things you could see with the actual antique postcard in your hand and a magnifying glass! 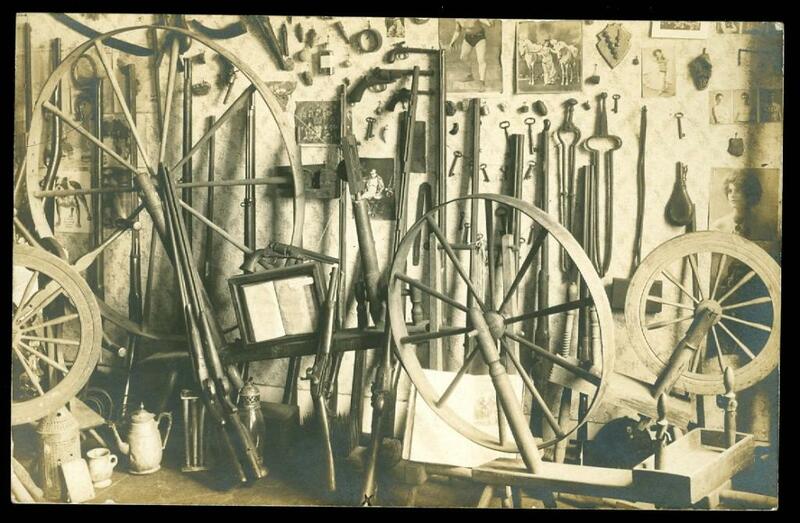 In this next image, there are plenty of guns, tools, keys, and hardware — along with spinning wheels, a few stray things, such as coffee pots and lanterns. On the walls there are other intriguing photographs… Lots of lovely ladies — including one with two horses! Perhaps a circus act? Among all the beauties, what appears to be the bottom half a wrestler or other male athlete.